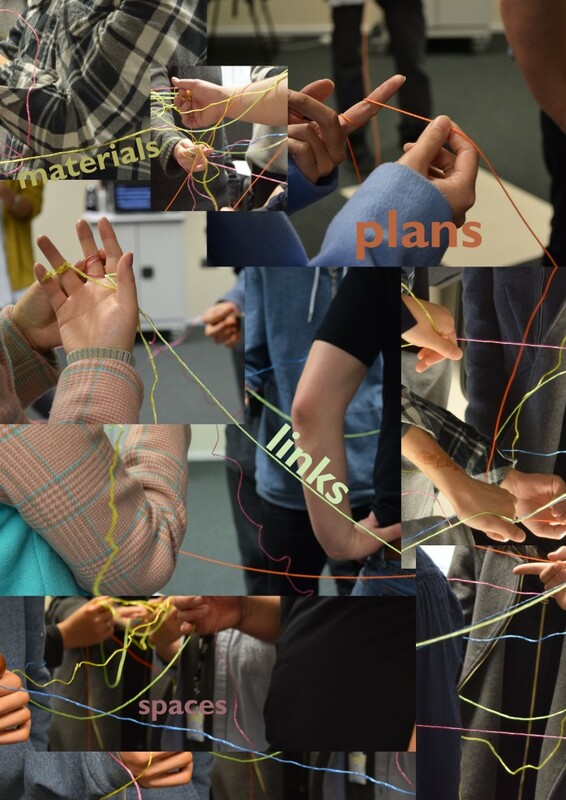 Last week, PhD student Bridget Harvey ran a context mapping workshop with our MA Designer maker students here at Camberwell. MA Designer Maker is a course of practitioners with well-developed hands-on workshop skills, seeking to further develop critical skills, and engage with a wide range of social/cultural issues around the production and consumption of material objects. 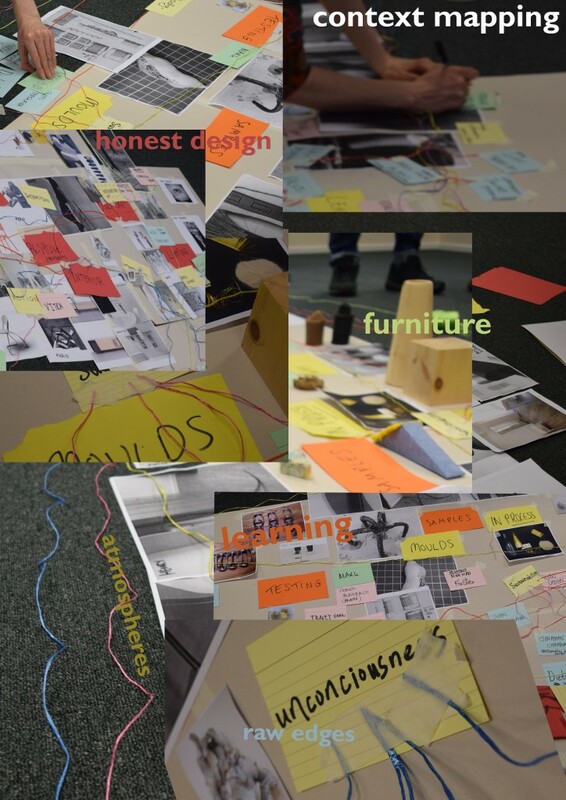 The work created by students on this course is diverse, ranging from furniture and jewellery making to carefully crafted sculptural installations. 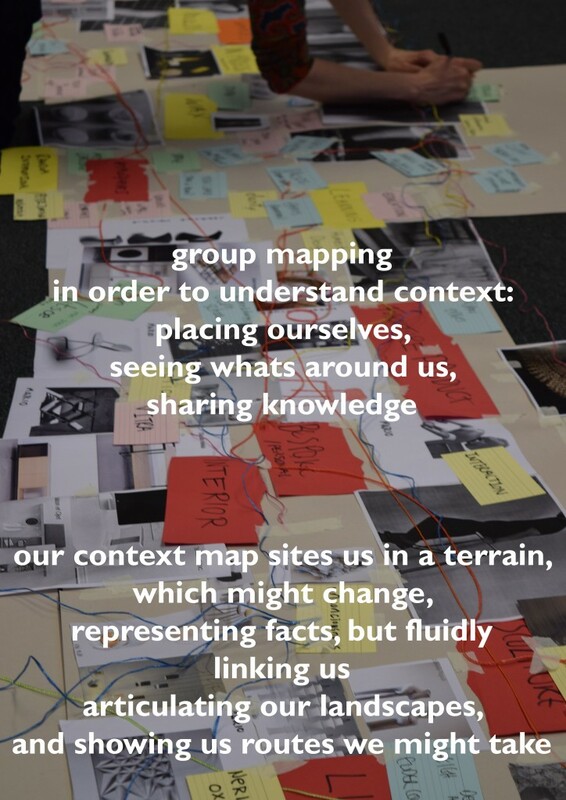 This session formed part of students context studies, they spent a day working as a group to map out their influences, including practitioners, writers, theories, materials and techniques. Here Bridget visually presents samples of work created in this session. Photographs taken by Angelique Talbot, collages by Bridget Harvey.